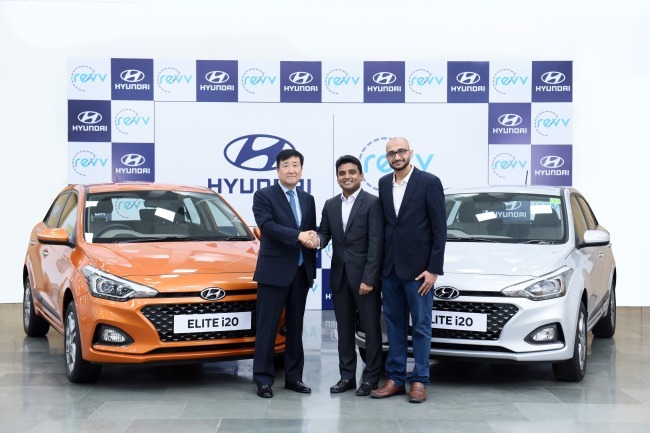 Hyundai Motor has invested in Revv, the second-largest car-sharing company in India, making its first move into the country’s emerging mobility market. The company declined to comment on the size of investment. Launched in 2015, Revv provides car sharing services in 11 cities in India. The company offers subscription service that combines rental and car sharing to allow customers to change car models as often as they wish, and choose the length of the service. By investing in the Indian company, Hyundai will come up with “new mobility business” in connection with Revv’s car sharing service. The company didn’t elaborate on its plan, but said it was expecting to produce synergy from its partnership with Revv, saying the South Korean carmaker is the only automobile manufacturer investing in the company. Areas of partnership include Hyundai supplying vehicles, developing new mobility platform services and marketing, officials in Seoul added. Hyundai has also invested in Grab, Immotor, Car Next Door and Mesh Korea to secure its presence in global mobility businesses.